Some couples come to us having a clear vision of the wedding day. They've done some research and they know what's important to them. THAT, was Crystal and Jake! Crystal was browsing Pinterest and stumbled across a centerpiece she fell in love with. We have to admit, the peach, ivory/white, gold, and blush combo is so dreamy! It just feels so soft and lovely. The rest of the decor bloomed from that! The couple knew that having a wedding day that was unique to them was the most important element. They had a perfect outdoor ceremony with a beautiful customized handfasting ceremony. In case you aren't familiar, the traditional Celtic take on this is when a couple wraps one another's hands with cords. Crystal and Jake opted for several colorful ribbon. The symbolism of the entwined and wrapped hands is about unity and steadfastness within your marriage. It is a beautiful component to a non-traditional religious ceremony and always quite emotional! After the ceremony, the couple hosted their reception in the Carlton Towers Rotunda. Which is modern, fresh, clean, bright and oh-so-fabulous in every way! The decor was light and airy, the food was delicious and the festivities lively. One of the coolest parts of the day was the hand rolled cigar station! It was a really neat guest experience and a great favor idea too! Be sure to check out the Every Last Detail feature here! 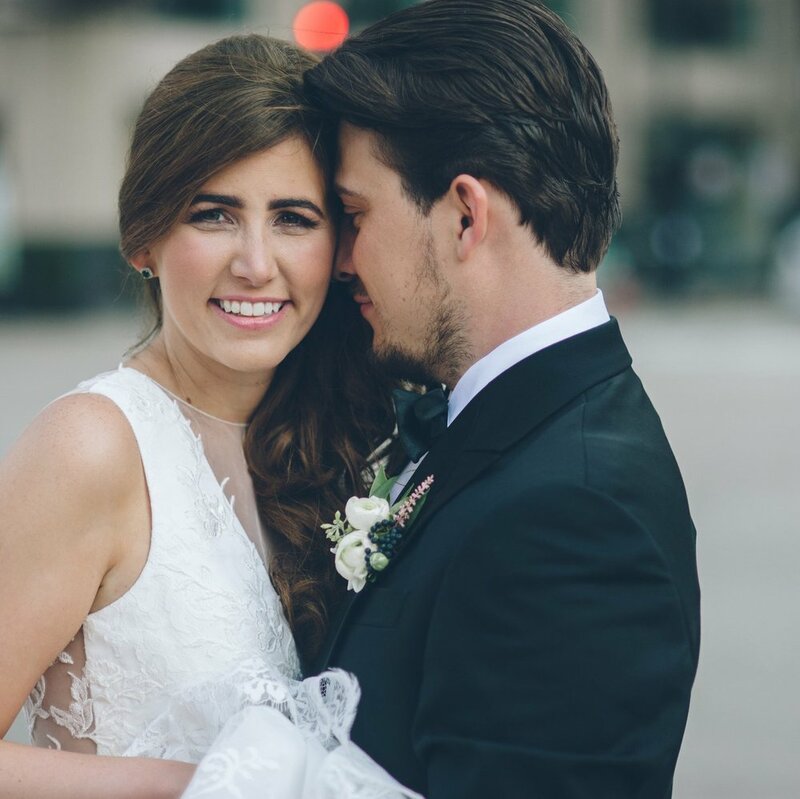 Calling all Chicago Brides! You're invited to an exclusive bridal event!